The fourth Meeting of the ASEAN Political and Security Community Council (APSC) and the Meeting of the Commission for the Southeast Asia Nuclear Weapons Free Zone (SEANWFZ) took place in Hanoi on July 19. Chaired by Vietnam’s Deputy Prime Minister and Foreign Minister Pham Gia Khiem, the meetings were organized within the framework of the 43 rd ASEAN Ministerial Meeting (AMM-43) and saw the participation of Foreign Ministers from ASEAN member countries. 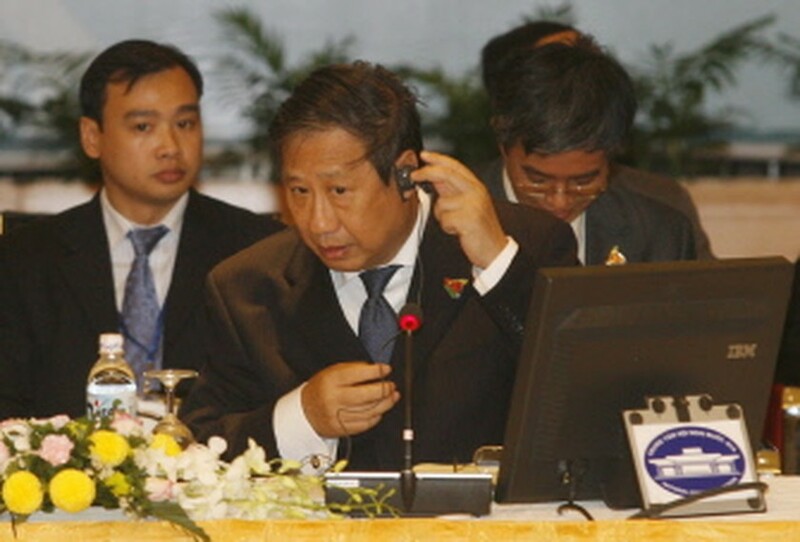 Tran Ngoc An, Head of the ASEAN 2010 Information Subcommittee and spokesman for the meetings, told reporters that at the fourth APSC Meeting, the ASEAN Foreign Ministers reviewed the progress of realizing the APSC Blueprint since the 3 rd Meeting of the Council as well as cooperative activities undertaken by various bodies under the APSC. The Ministers welcomed recent positive developments such as the convening of the first ASEAN Defense Ministers’ Meeting Plus (ADMM+) with dialogue partners in 2010; and the meeting of ASEAN – China Joint Working Group (JWG) on the Declaration on the Conduct of Parties in the East Sea (DOC); progress within the framework of the ASEAN Intergovernmental Commission on Human Rights (AICHR) and the Treaty of Amity and Cooperation (TAC), as well as cooperation in disaster management. For future implementation of the APSC Blueprint, the Ministers stressed the importance of effective and balanced development of APSC; agreed to further strengthen efforts to implement the 14 priority areas of APSC while considering and updating the list of priority areas to allow ASEAN to become better prepared and more responsive to emerging challenges. The Ministers agreed to bring into full play ASEAN’s established mechanisms to ensure peace and security in the region such as the TAC, SEANWFZ, DOC and ARF. 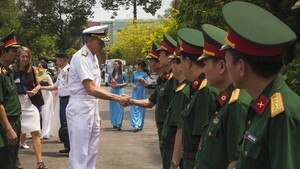 To that extent, ASEAN will develop practical and concrete programmes and measures to carry out the Plan of Action to implement the ASEAN Regional Forum (ARF) Vision Statement; effectively implement the DOC; complete necessary procedures for the signing of the 3 rd Protocol amending the TAC to facilitate the early accession of EU/EC to the Treaty; as well as intensify cooperation to assist people and vessels in distress at sea. The Ministers supported the proposal on strengthening cooperation among Chiefs of Homeland Security of ASEAN Members States (MACHO), and agreed to work further with the relevant bodies on the idea. At the Meeting of the Commission for the SEANWFZ, the Ministers agreed to speed up the implementation of the Plan of Action to Strengthen the SEANWFZ Treaty, including continued consultations with the nuclear weapon states to seek their views and supports for the SEANWFZ. Taking into account the positive outcome of the Nuclear Security Summit in Washington in April 2010 and the Treaty on Non-Proliferation of Nuclear Weapons (NPT) Review Conference in May 2010, the Ministers agreed to coordinate closely at multilateral forums on issues relating to ASEAN and the implementation of the SEANWFZ Treaty. The meeting elected Indonesia as the next Chair of the SEANWFZ Commission from January 2011. The ASEAN Foreign Ministers met for a working dinner on the evening of July 19 to give their final touch to preparations for AMM-43 which will be formally opened on July 20. The Association of Southeast Asian Nations (ASEAN) includes Brunei, Cambodia, Indonesia, Laos, Malaysia, Myanmar, the Philippines, Singapore, Thailand and Vietnam.